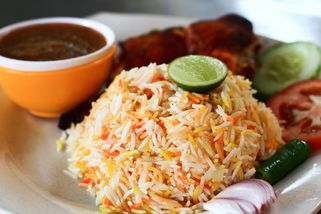 Lot 9-10, Ground Floor, Giant Supermarket, Jalan Plumbum T7/T, Seksyen 7, 40000 Shah Alam, Selangor. Part of the D'arab Café chain. Located inside Giant Shah Alam which is next to the main entrance. 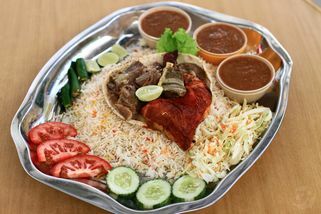 One of 13 outlets in the Klang Valley, D’Arab Cafe in Shah Alam sets itself apart with a self-service, fast food style counter for ordering food and a help-yourself station for sauces and spices. 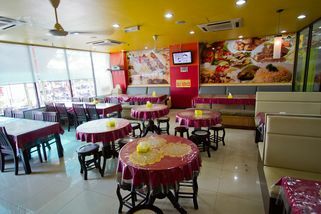 The company philosophy downplays prime locations and fancy decor, while focusing on serving authentic, tasty Arabic food at reasonable prices. 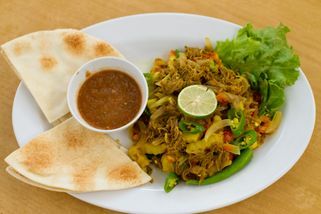 For consistency, all the food is prepared in a central kitchen under the supervision of an Arabic chef. 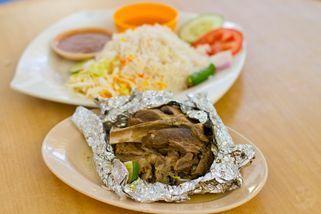 This includes their signature Lamb Kabsah, Lamb Hanith, Lamb & Roasted Chicken Kabsah Combo, Lamb Aukdah and Mandey Lamb. 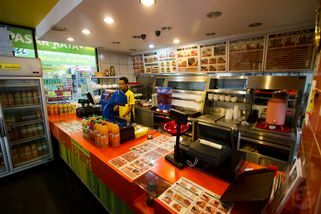 There is also a refrigerator filled with a selection of juices imported from Egypt to tempt you as you queue up. All outlets offer a delivery service. 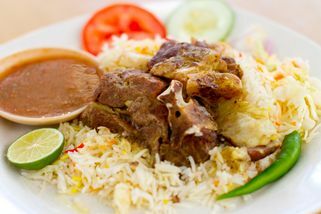 "Arabian Food in the houz~~"